Applications are currently being submitted for the Free Waiver Master of Science scholarship 2018-19 session in Urban Studies in Vrije Universiteit Brussels, Belgium. 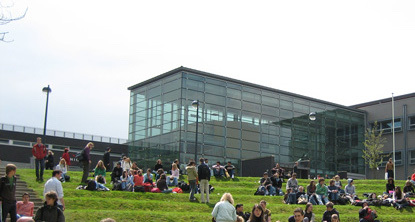 The Vrije Universiteit Brussel is a Dutch-speaking university located in Brussels, Belgium. It has three campuses: Brussels Humanities, Science and Engineering Campus (in Etterbeek), Brussels Health Campus (in Jette) and Brussels Technology Campus (in Kaai). A major percentage of the world’s population is found in the cities. Urban culture is reshaping the world: urbanization and globalization are two sides of the same coin. The interdisciplinary and international Master’s of Science in Urban Studies sets out – at the crossroads of Sociology, Geography, History, Cultural studies, and Humanistic urban studies – to address this fundamentally novel aspect of the human condition. At Vrije Universiteit Brussel, you have the chance to study for a Master’s of Science in Urban Studies to manage these global changes. This two-year program offers a strong interdisciplinary perspective on urban studies. Students follow a core trajectory of shared courses and have the freedom to specialize by individually selecting elective modules and courses such as Urban Social Geography, Urban Sustainability and Circular Economy. In their second year, students can opt to do an internship (15 ECTS) in Belgium (e.g. at one of the European institutions) or abroad. By studying in Brussels, you also have the opportunity to explore the most beautiful cities in Europe such as Paris, London or Berlin! Take the Sqore challenge now for a chance to win the fee waiver! Then apply to the university.